With nearly 100 applications coming in for the Enable Makeathon 2.0 this year, the jury had a tough time shortlisting 23 teams which submitted ideas showcasing a strong potential to make a mark. Now we are at the final stage of selecting the best ideas and teams that will go into the co-creation phase of the Enable Makeathon. Each team selected will receive intensive support to turn their ideas into reality. While the judges are further interviewing these 23 teams to narrow down on 12 which will enter the next phase, you have to help us select three more teams for the co-creation camps to be held in Bengaluru and London in December. 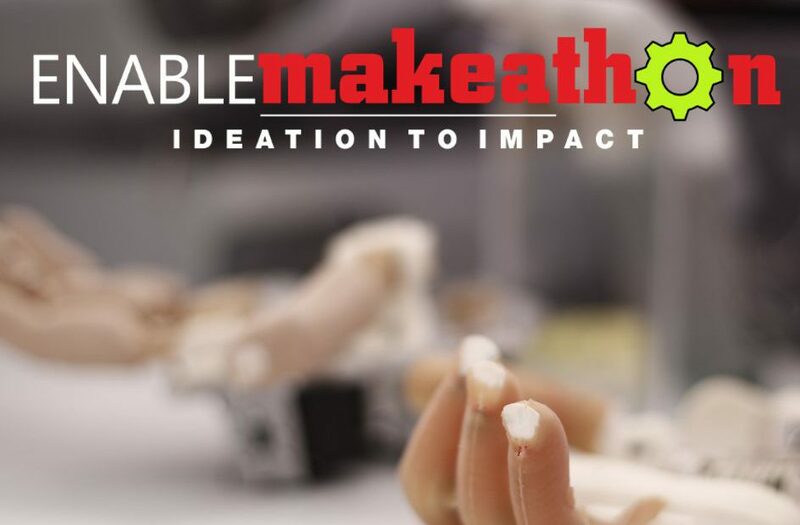 The Enable Makeathon 2.0 is an intensive innovation programme taking place from November 2017 to January 2018. We crowdsourced ideas related to the key issues of accessibility and employability of persons with disabilities and aim to facilitate the exchange among innovators to foster and enable innovative thinking across a broad range of disciplines to build new solutions. Teams are accompanied at each stage and at the end of the 90 days, three winners will be awarded the Enable Makeathon prize to build and scale up their ideas. Your vote will tell us which proposed solutions you think will have the greatest impact and could change the lives of people with disability. Select one idea from every category. Share it with your friends and colleagues to vote for their favourite ideas. Stay tuned! ☺ and support your teams.